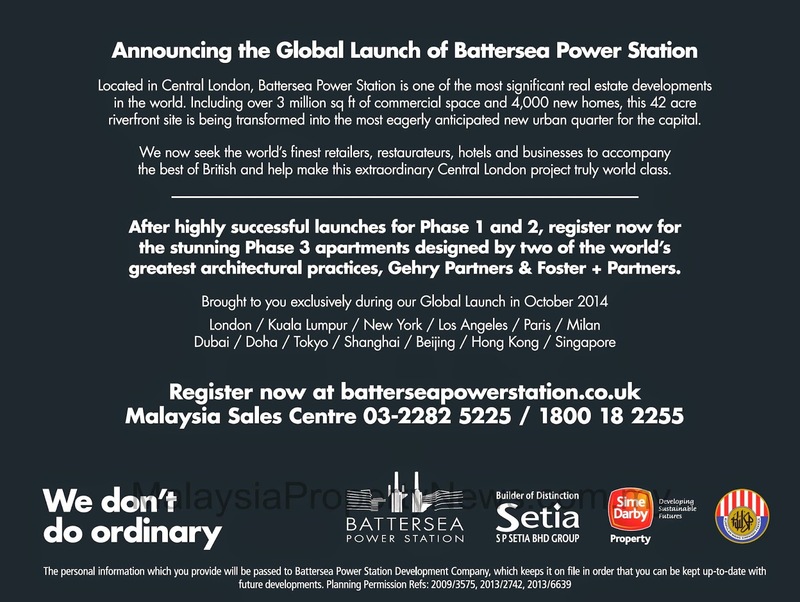 Battersea Power Station Phase 3 launching in Singapore this weekend! The Battersea Power Station project team will showcase 539 of the 1,305 new homes in Phase 3 of the development at the St Regis Hotel in Singapore from Oct 31 to Nov 2. Singapore is one stop of exhibitions in 11 countries this week to market the project, which is a conversion of a large derelict power station in central London into a thriving complex of modern shops, offices and apartments. London, Kuala Lumpur, New York, Dubai, Paris, Hong Kong and Shanghai will also hold exhibitions from Oct 31, while Los Angeles, Milan, Tokyo, Beijing and Doha will hold theirs the following week. The remnant units from earlier phases will also be available for sale this round. Everything, save for a handful of penthouses in Phase 1 that are gradually being released into the market, and the last few remaining units from Phase 2, have completely sold out. Pricing for the homes was also released on Tuesday. Studio apartments start from £495,000($1.02 million); one-bedders from £590,000; two-bedders from £1.2 million; three-bedders from £1.9 million and four-bedders from £3.2million. Prices for the few penthouses are available on request, but information on the unit sizes or per square foot prices is not available. The £8 billion Battersea Power Station project, on the south bank of the River Thames, has been labelled the "jewel in the crown" of central London's regeneration area by UK Prime Minister David Cameron. But a proposed annual "mansion tax" on UK properties valued at £2 million which may kick in next year, or rather the confusion surrounding the matter, has dampened enthusiasm for properties priced around the £2 million mark. This is because the tax is "by no means certain - either the level of taxation, how it will be calculated and collected, or when it will come into being". Another pitfall of buying London properties now could be that a lot of flats are currently being sold for investment, so there will be a huge number coming onto the rental market at the same time. The Battersea site is owned by a Malaysian consortium comprising SP Setia, Sime Darby and the Employees' Provident Fund. The wife and I just have two words to offer... Caveat Emptor. But this should be interesting enough for a drop by at the St Regis just to take a look-see, if you can spare the hour or two this weekend. 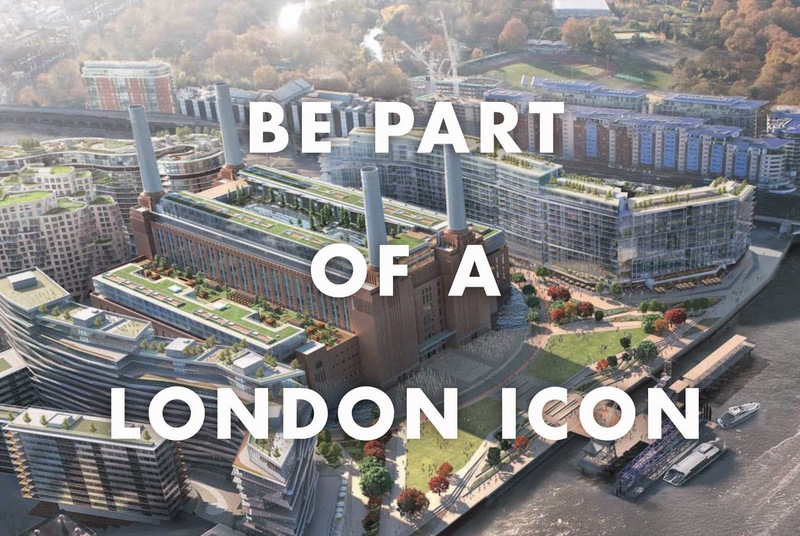 Here's an informative video on the vision of Battersea Power Station redevelopment by Rafael Vinoly, the Master Planner of the project. No Comment to " Battersea Power Station Phase 3 launching in Singapore this weekend! "